Guided art activities are AWESOME for kids, or anyone who enjoys being in touch with their artistic side for that matter! Rob Hubs, founder of Art for Kids Hub, guides his own children with drawing, painting, sculpting, origami, and cutouts and video records the experience to share with others! Steps are appropriate for various age ranges. So far, I have used Rob’s drawing videos with my kindergarten students. Drawing categories range from various characters that the kids know, plants, cartoons, people, even holidays! 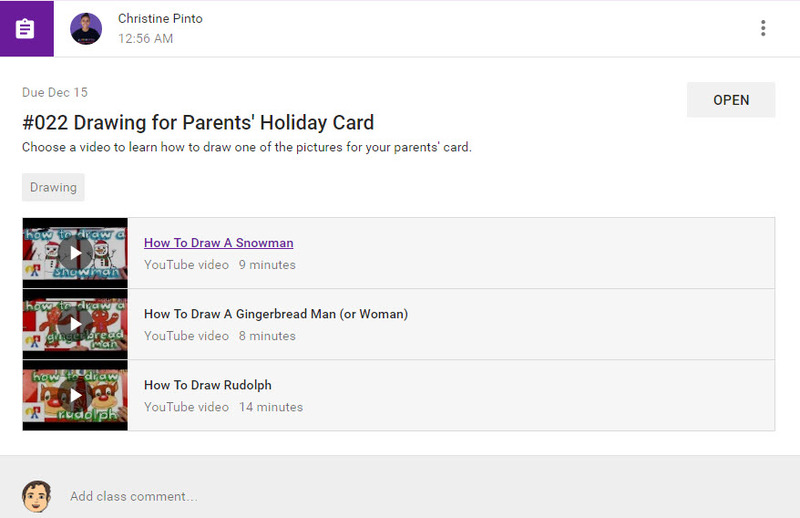 My students access the drawing videos independently through Google Classroom. Rob’s videos are on YouTube, making it super easy to post in Google Classroom. When creating an assignment, you go about your typical method of titling, giving directions, etc. You’re going to be clicking on the YouTube icon to add a video. If you know the name of the video, you can search it. I like to get the exact URL of the video so I know it’s the correct video. 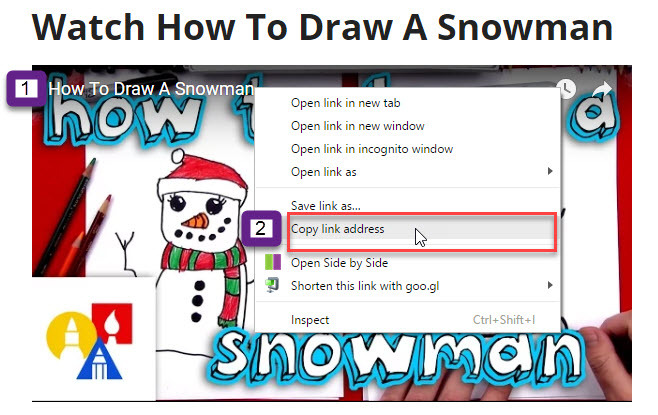 Start out by going to artforkidshub.com and accessing the page with the video tutorial that you want to attach. Once on the page locate the video. Locate the title of the video. Right click the title, and select Copy link address. That copies the link to the YouTube Video. Go back to Google Classroom, and create an assignment. After adding the assignment details, click on the YouTube icon. Select the URL option and paste the link (right click and select paste). Repeat the process if you have multiple videos that you would like to attach, and then assign the assignment. I like giving my students the choice of which drawing they want to draw. When students access the assignment in the Stream, they will be able to click on the link to the video and the video will play right there in Google Classroom! Students have the option to view the video with a full screen, or go to the next video if they change their mind. My kids REALLY like the drawing videos. 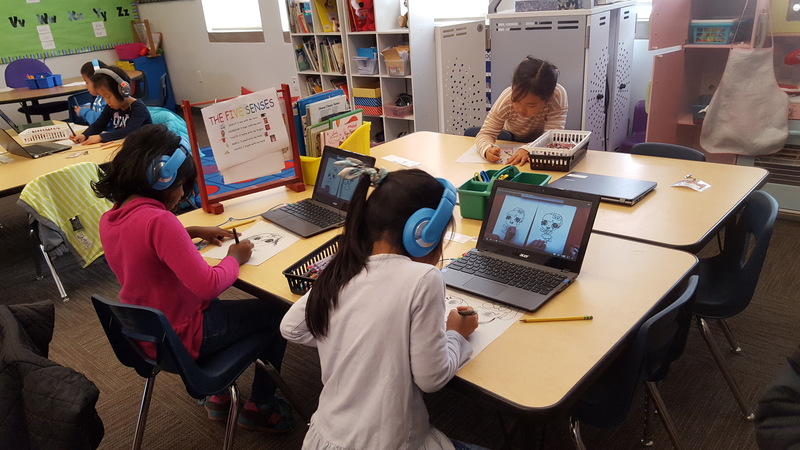 One of their options during free choice time is to watch drawing tutorial and draw! Rob is super awesome and has pages with videos that are appropriate for different age ranges. 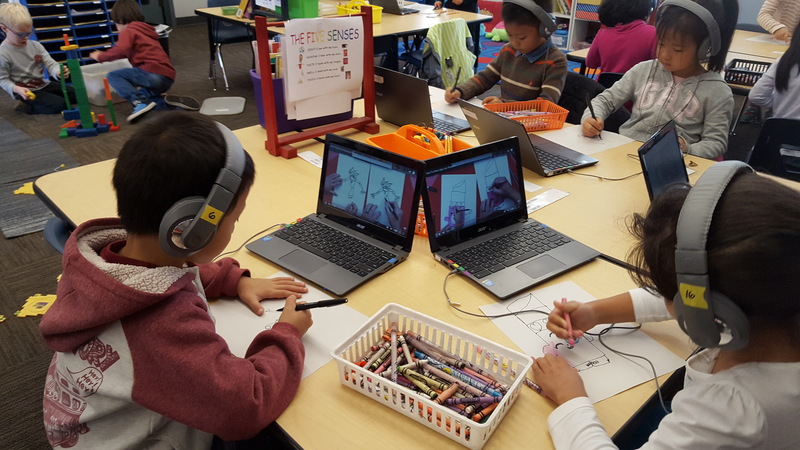 My students have access to the videos that are appropriate for kids under 5 and 5 to 8 years old. 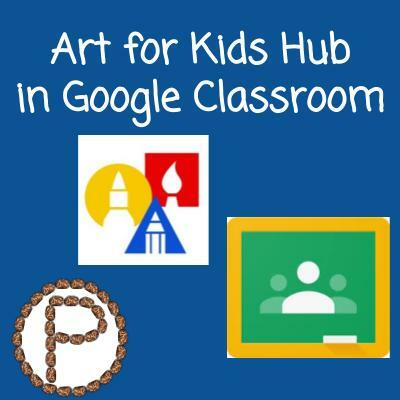 Since the kids will be accessing the links frequently, I shared them in the About tab in Google Classroom. Go to artforkidshub.com and hover over to the Age menu and click on whichever age group you want to include for your students. Go back to your Google Classroom and select the About Tab. This entry was posted in Google Classroom, Non EdTech Resource by Christine Pinto. Bookmark the permalink.